Protects textiles and leather against dirt and moisture. Special impregnation spray – provides a breathable protection against dirt and moisture. Ideal for textiles, leather and convertible hoods. Also suitable for garden and sun shades, persennings, backpacks, sports gear, anoraks and many more. Fabric remains supple and air-permeable. Do not use on closed surfaces such as plastics. glass, paint and convertible hoods from vinyl. After thorough cleaning and complete drying Caramba impregnating spray needs to be well shaken and sprayed thinly and evenly from a distance of approx. 20 cm until the fabric is completely wetted but not too wet. When treating in sections make sure that the sprayed surfaces overlap. Spray again after approx. 2 minutes. Allow to dry completely. To test the protective effect drip some water on the surface: If the drops do not remain as beads on the fabric, the treatment must be repeated. 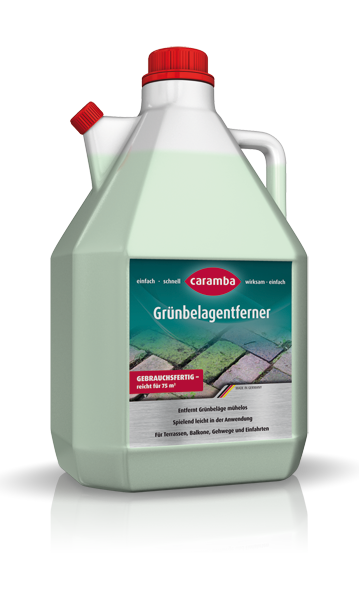 The protective effect of Caramba impregnating spray is gradually reduced by mechanical stress (wind, rain, sun). The effectiveness of the treatment should therefore be checked regularly to ensure a permanent protection (water drop test); repeat the treatment if necessary. Attention: Use only in well ventilated areas; do not breath in aerosol. Spray large fabric areas only outdoors and allow to flash off well. Spray only for a few seconds. Do not apply in direct sunlight. Optimal application temperature approx. 20 °C. Before use, test the fabric in an inconspicuous spot for colour fastness. Do not use on closed plastic surfaces. Do not spray on glass, plastic glass or painted surfaces. Should a white residue be visible after drying as a result of overdosing, simply brush it off.